The most straigtforward way of gathering data on your customers or users is through online forms. 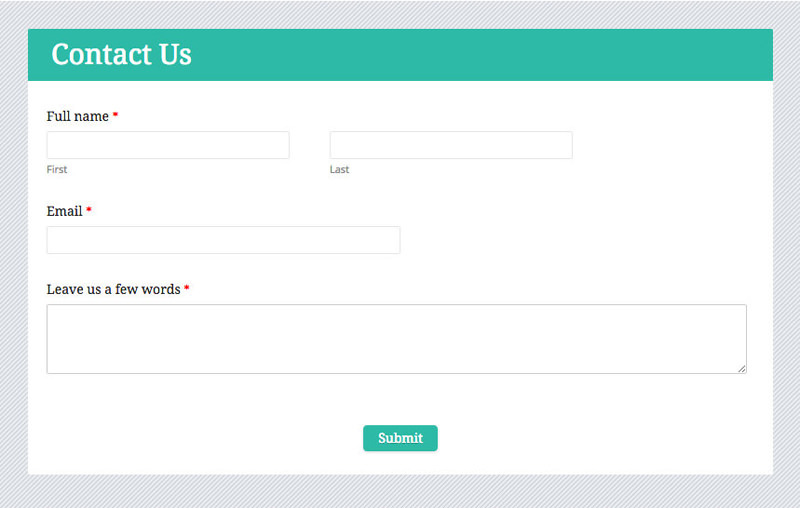 From login forms for mobile apps to newsletter sign up forms, feedback forms, and registration forms etc. online users come across forms everywhere. Therefore, web developers pay special heed on creating simple and attractive forms for the users. Regardless of what your need is, here are 5 of the best HTML form builders that can generate any kind of form – easily and free. Go on and check out these tools in the list below. You can make dull online forms come alive with LiveForms – a powerful and easy-to-use form builder with a colorful template customizer. You can add and make variations to 20+ form fields, perform security checks and validations, add conditional logic, and track the forms’ performance with LiveForms, thanks to its analytics features. It lets you create and place three forms on your site for free with an allowance of 300 entries per month. However, if you need support for payment gateways or third-party apps, you must opt for paid subscription that offers more features like file upload and team collaboration. If you are looking for a more intuitive approach to designing forms, Cognito Forms has a user-friendly interface with super robust features. 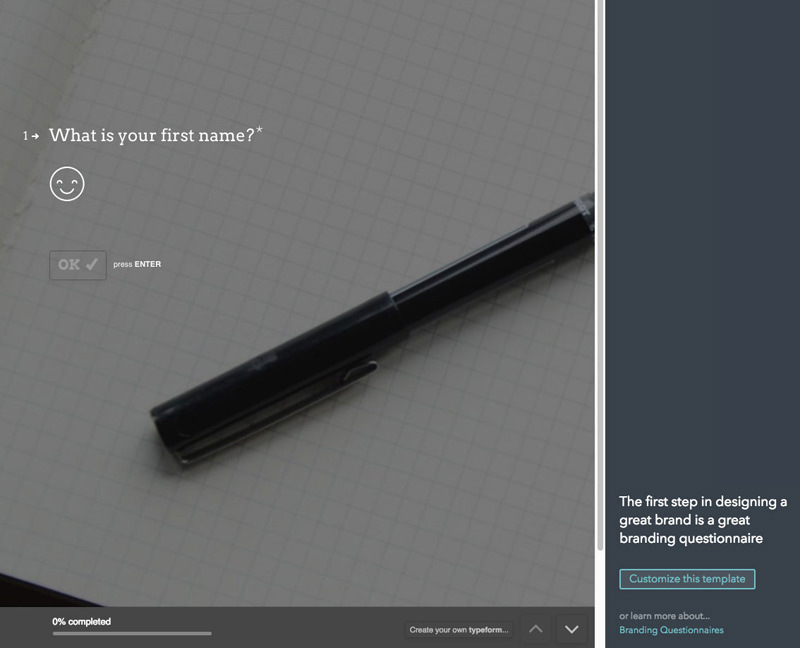 You can build forms, embed them on your website and capture inputs from anyone. What interested me is, you can ask for payments using Stripe or PayPal integration at 1% charge of the collection. You get a range of field types to create forms along with powerful features like document merge, file upload with size and type limits, conditional logic and email notifications – one of my favorites. It works free for unlimited forms with up to 500 entries per month and 100 MB space, while its paid subscription offers more features including electronic signatures. 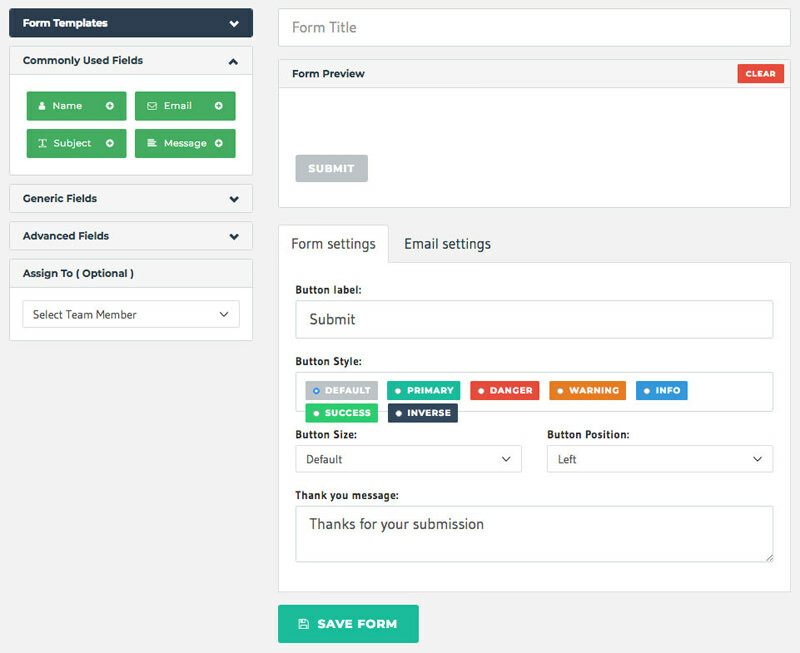 If you are a small business seeking for a form builder that just works, JotForm has got all along with drag-and-drop support. To my surprise, JotForm packs in lots of features like templates and themes and support for online payments, widgets, and third-party applications. It also supports form analytics and collaboration with fellow members. Once you are ready, you can publish and share the forms, and receive emails whenever a user fills them. As a free user, you can have 100 submissions per month, accept one payment, and host up to five forms with unlimited fields and reports. As a paid subscriber, you get more submissions and more space, and you can also add sub-users. 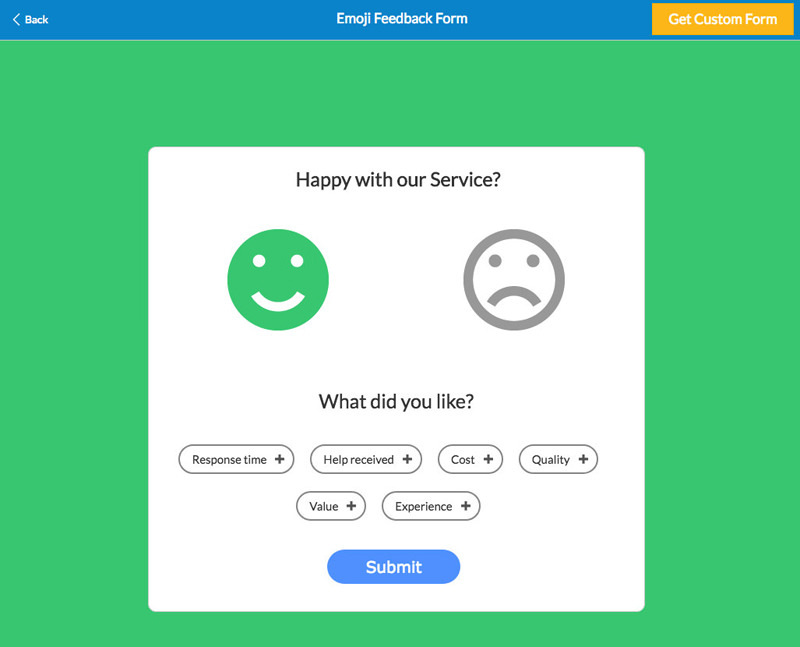 TypeForm is an interactive form designer for creating surveys contests, and forms that work across all devices. 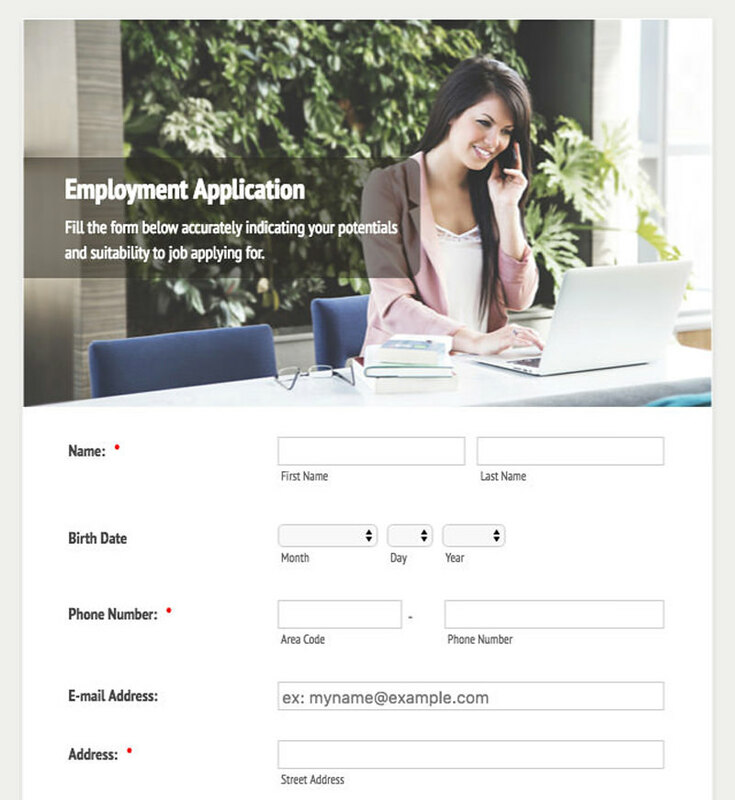 Its unique interface lets you design and format forms your way, add images and videos, and do a lot more. You can choose to get email notifications for responses and generate reports for your forms. As a basic subscriber, you can embed the forms, use ten fields per form, receive 100 responses per month, and share data with 500+ apps using Zapier. As a paid subscriber, you can use unlimited fields and logic jumps, collect payments and get more done. Wufoo’s intuitive drag and drop interface lets you design dynamic forms using customized, 400+ device-responsive templates along with support for advanced logic. You can create up to three forms having ten fields and receive 100 entries a month for free. 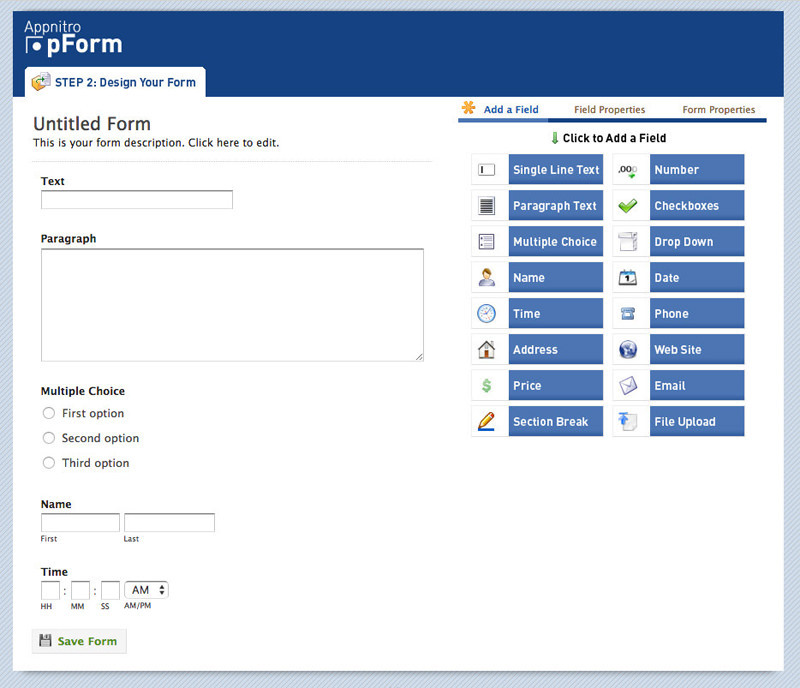 Though Wufoo is not as powerful as LiveForms or JotFrom, yet it works well for making simple forms. As a paid subscriber, you get additional features like support for file uploads and conditional logic, response notifications, advanced reports as well as analytics. Additionally, you can also accept online payments with the integration of Stripe, PayPal, Braintree, or Chargify. 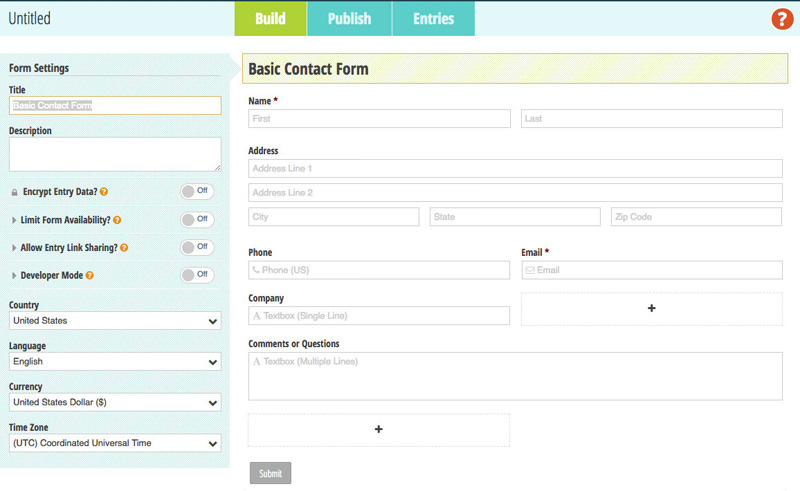 123ContactForm has all features and design elements to create forms as easily and quickly as possible. 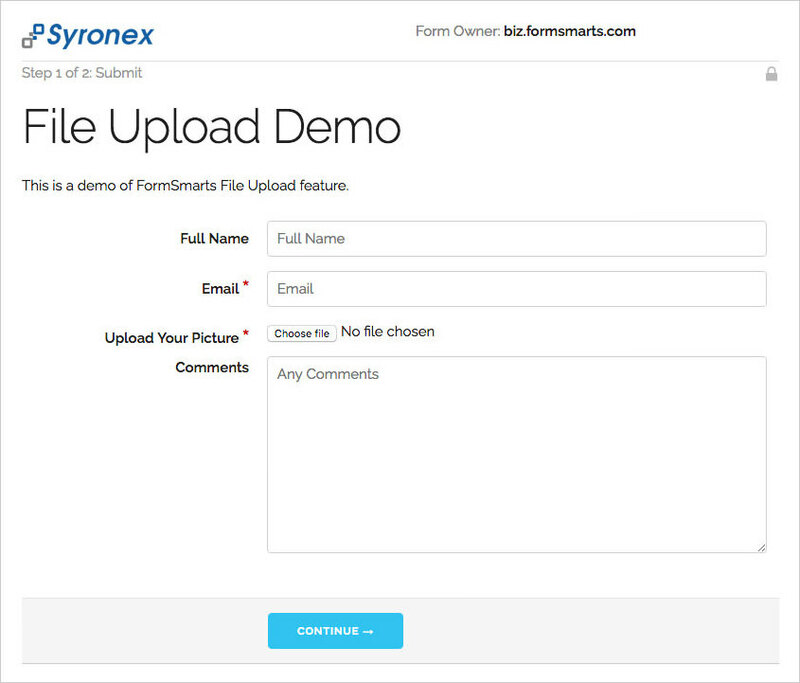 You can create and customize multi-page forms, use several standard and advanced form fields, and ask users to upload files through your forms. You can sign up for free with 123ContactForm to create up to five forms with ten fields, accept 100 submissions per month, generate one report and, you are also allowed to integrate a third-party app for free, unlike above tools. Also, you can opt for its paid plans to avail more features like domain aliasing, payment integration, and more. 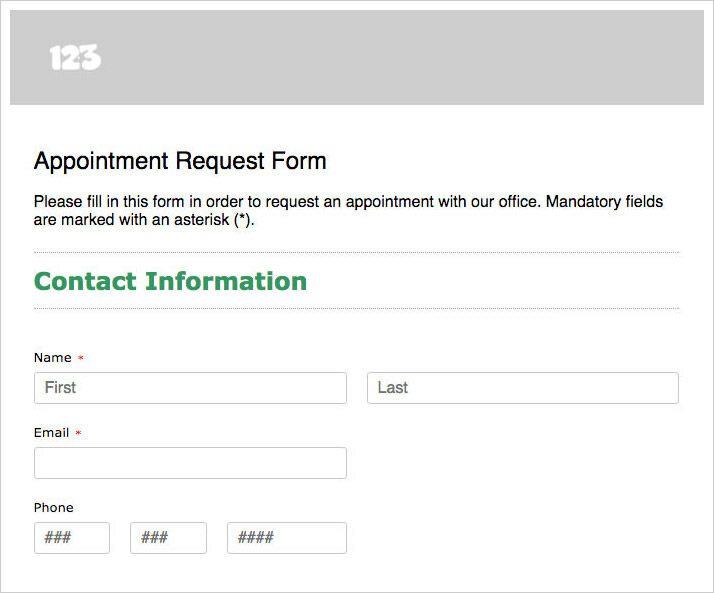 You can create impressive yet device-independent forms using Zoho Forms. Its drag-and-drop interface along with professionally-made templates help you build and host awesome-looking forms. It has features like email notifications, effortless team collaboration tools, support for customized forms, and report generators. As a free subscriber, you get up to three forms with 500 submissions per month, and you can use up to 200 MB storage space and generate an unlimited number of reports. As a paid subscriber, on the other hand, you get to create and host unlimited forms. There is more, you also get payment integration and custom templates in its paid plans. 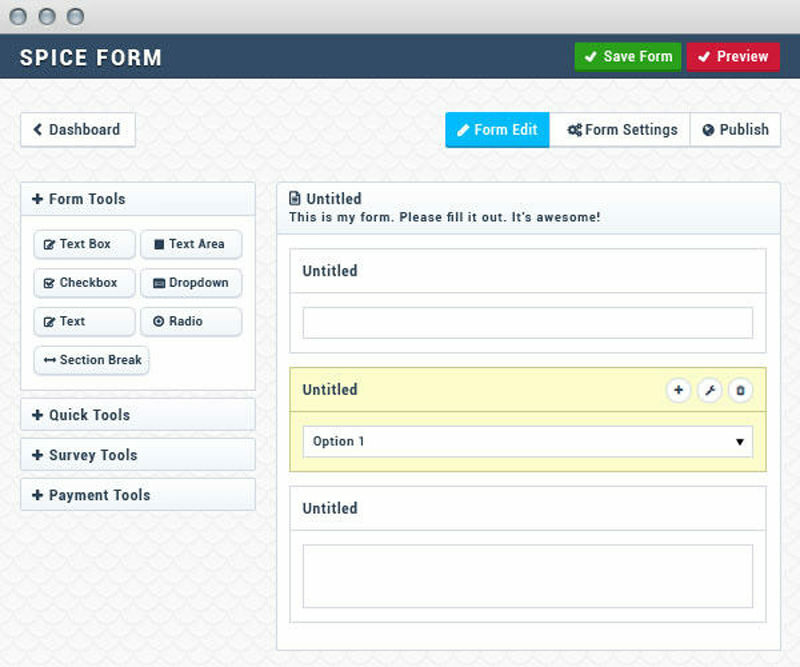 SpiceForms’ drag-and-drop interface helps you create powerful and responsive web forms. As a free subscriber, you can embed up to three forms with limited features and receive up to 100 submissions per month. That is not all, of course. It supports ten configurable field types, email notifications, and acknowledgment responses as well. What I like it, you can add conditional logic, customize the style, and do a lot more as easily as making some clicks. Additionally, you can view, edit, and delete the form entries and export them in CSV format – thanks to its submission manager. 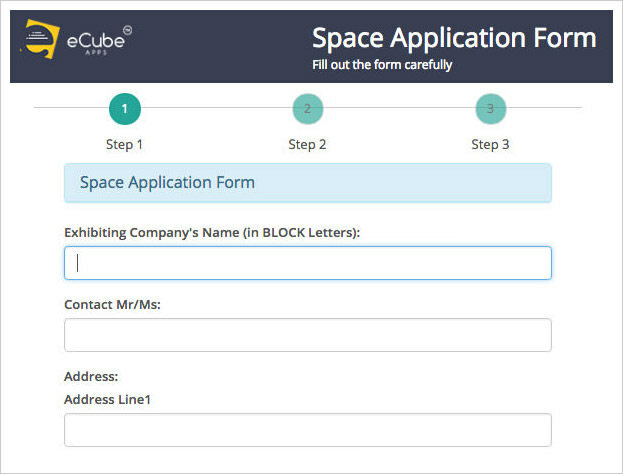 HTML Form Builder by eCube Apps lets you create and customize forms per your needs. 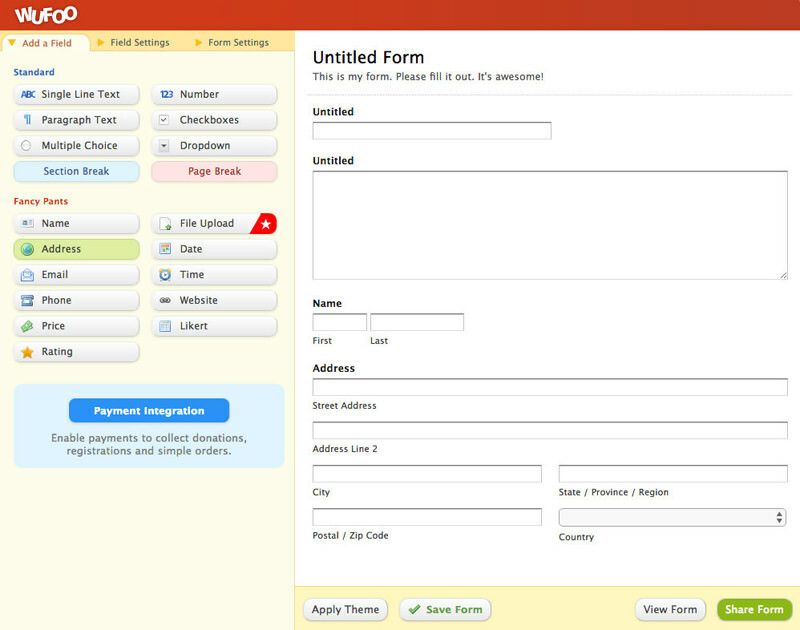 Its theme designer helps customize the forms and add verification and conditional logic to forms. You can collect data, upload files, accept payments, and do more using its forms. What impressed me more is, you can share the forms on social media platforms using QR code, SMS, and email. 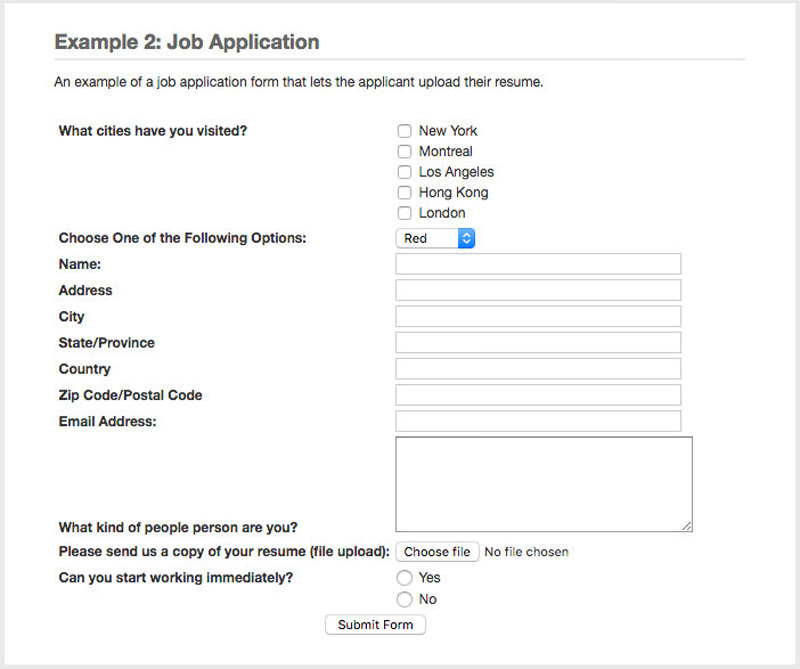 Moreover, you can also embed the forms on your website. All free subscribers get unlimited forms with support for 100 submissions per month, and you can create unlimited reports. However, you cannot accept payments in its free plans. EmailMeForm helps you design customizable, mobile-responsive forms with preset fonts, patterns, and logos, thanks to its seamless, drag-and-drop interface. Using its free plan, you can design forms using three themes and 50 form fields. Moreover, you get 100 submissions per month along with 100MB storage, three reports, and more features. Surprisingly, you can also redirect visitors to a custom address and add anti-spam protection to the forms. Moreover, under its paid plans, there are more features like multi-lingual forms, custom style, payment integrations, and custom web integrations as well. If you need an easy-to-use GUI form builder to create forms, Freedback works well as a free form builder. When you sign up for the free version, it allows creating one form having unlimited form fields. You are allowed with an unlimited number of submissions. Moreover, it offers more features like spam filters, data backup options, and email notifications and page redirections. In its paid version, you get a few more features like managing submissions along with data validation options, exporting them as an Excel sheet, sending auto-responses and thank-you mails to the users, etc. FormSmarts is a full-featured, cloud-based form generator that lets you create responsive forms. Its free subscribers get infinite forms with variable fields and limitless submissions. Also, you can opt for email notifications for the form submissions. Surprisingly, you can easily embed the form on your site and share its URL or QR code to promote or share the form on social networks and offline media. Moreover, FormSmarts supports creating and showing forms in 20+ languages. If you are a paid subscriber, you get PayPal integration, SSL security for form submissions, lot more features. 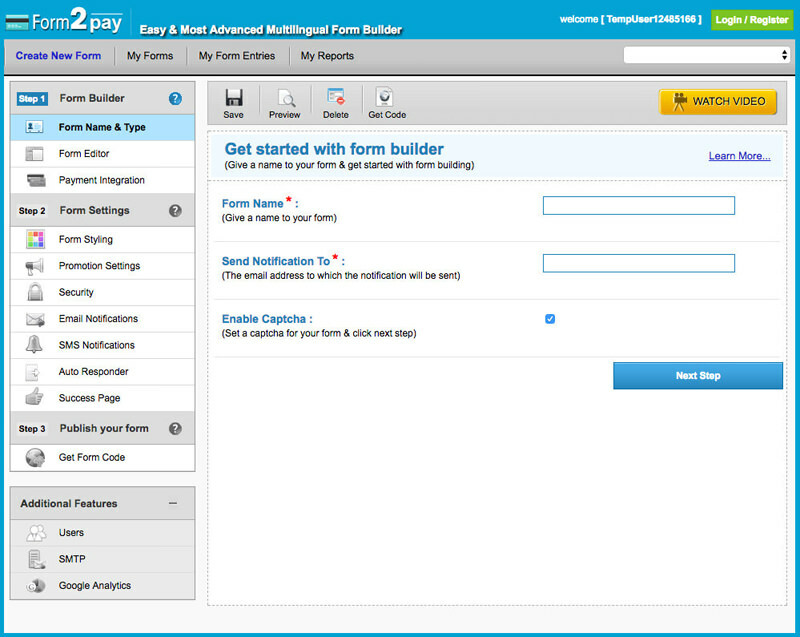 Form2Pay offers free yet highly-professional and reliable form builder that is secure as well as easy to use for creating forms. With its free subscription, you get to create unlimited forms, make two payment transactions, limitless form fields, and 100 submissions per month along with anti-spam protection, three reports, and 100 MB space. With its paid subscription, you can also manage submissions, customize and receive email notifications, send auto-responses, and export submission data in various formats. pForm is a perfect form builder if you want to create simple web forms for your blog or website. You can choose a color template, select the input data fields, and download the pre-built form, which you can later upload on your web host to make it work. Though pForm is not as powerful as some above form builders yet for a free tool, it is worth giving it a shot. It packs in lots of form fields including file upload option, which is not freely available in many form builders. However, you need to host this form yourself. The post 10+ Free Online HTML Form Builders appeared first on Hongkiat.